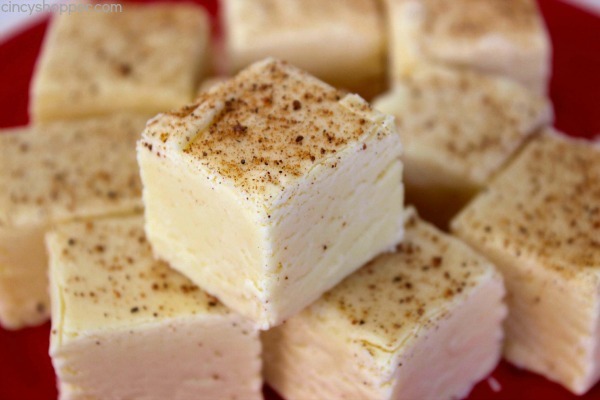 This easy Eggnog Fudge will make for a great addition to your holiday sweets lists. 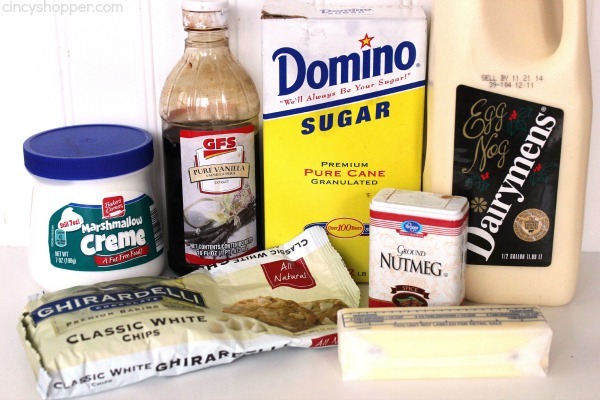 You will find great flavors from the white chocolate, eggnog, and nutmeg combinations. 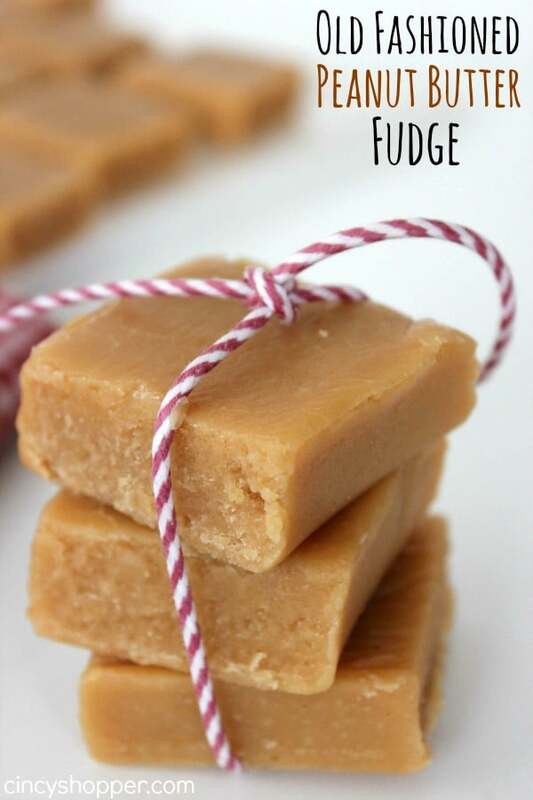 A perfect and sweet fudge for serving guests during the holidays. Our family is big on fudge all year long but when the holidays arrive, we are always super anxious to make our first batch of fudge. Usually our first batch we have my hubby whip up is our favorite Traditional Homemade Peanut Butter Fudge. 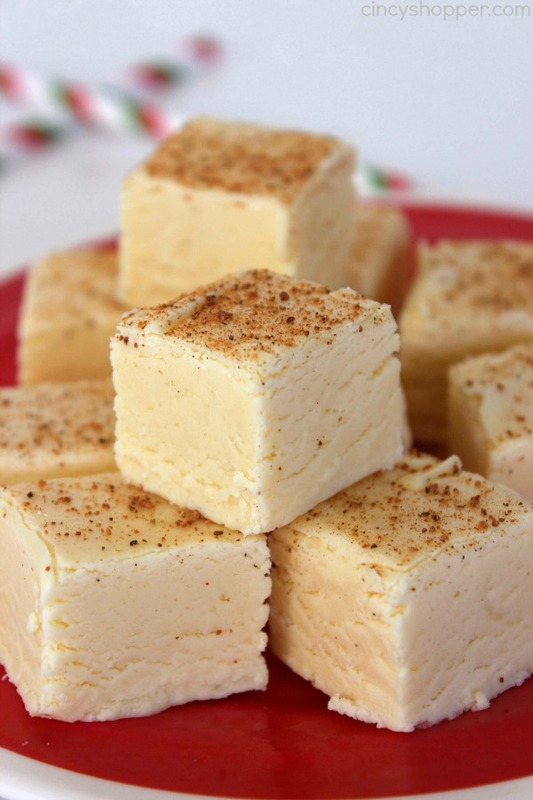 Last year, we made this delicious and creamy Eggnog Fudge and the stuff was out of this world amazing. Somehow I got busy with our vacation and forgot to share it with all of you. We made a batch for a holiday get together and everyone loved it. Since it was such a hit, I decided I will make a couple batches again this year for some gifts for a few of my friends. 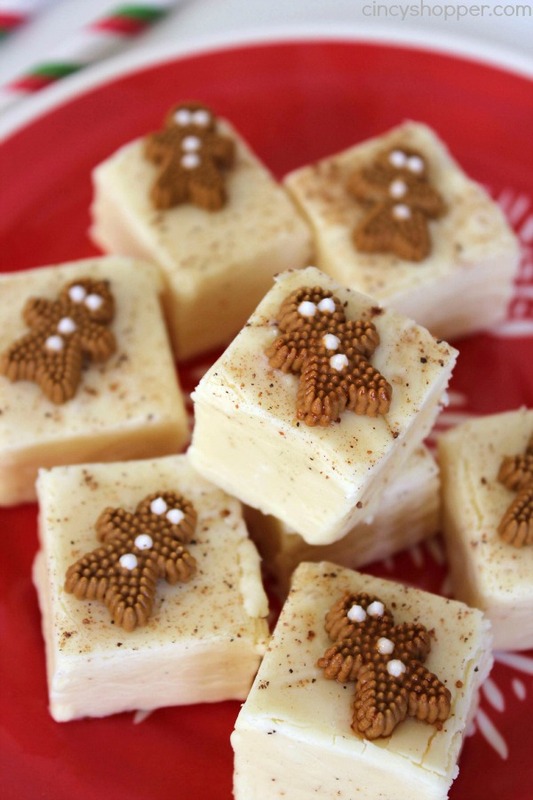 You can dress the pieces of fudge with a nutmeg dusting or even with some store bought candies. I made one batch with some of the cute Wilton Gingerbread Candies that you can find at many stores. They looked so perfect on top. 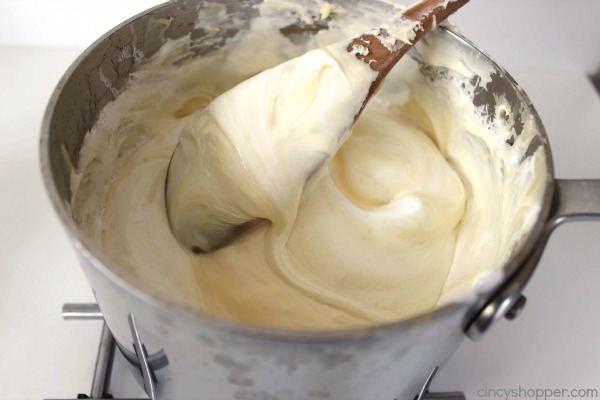 You will need some Eggnog, white chocolate chips, marshmallow fluff, sugar, butter, nutmeg, and vanilla to make this easy fudge. 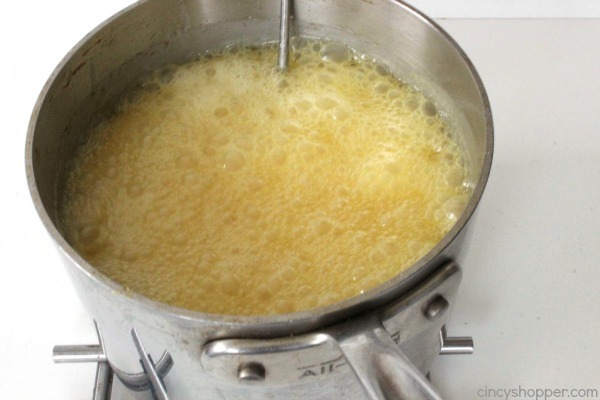 Cook until temperature reaches 234. 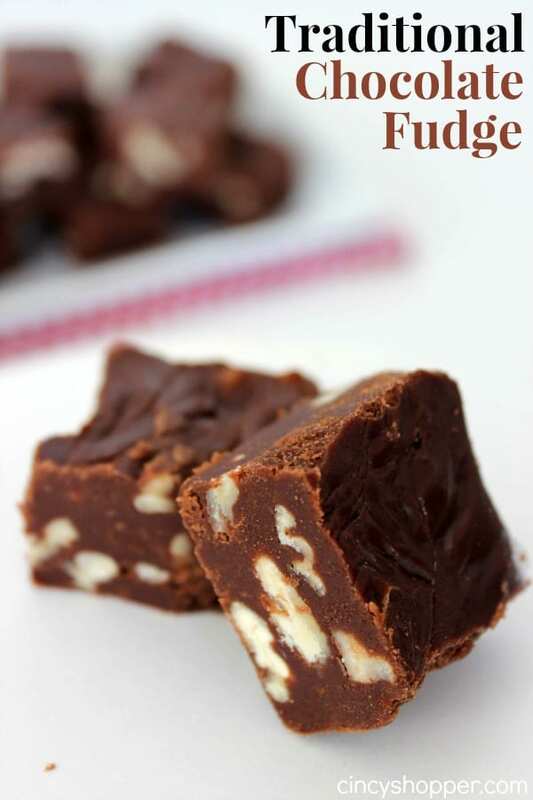 Do you have a favorite fudge that you make during the holidays? Line a 8x8 pan with foil, then butter foil. Oh this sounds amazing! Pinned and sharing! 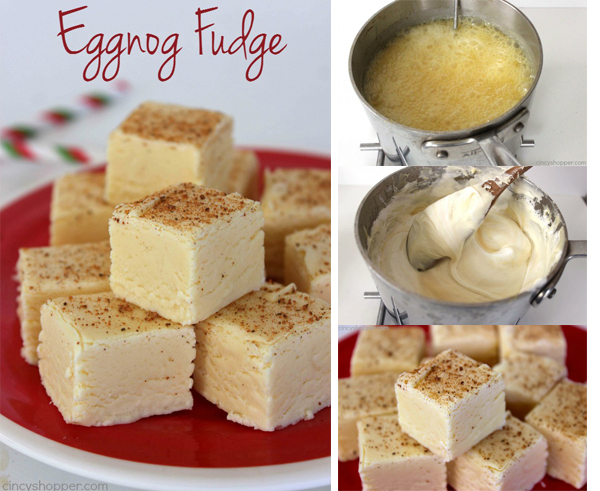 Hello, I live in Ireland and would love to make eggnog fudge as a gift, we don’t have marshmallow Crete can I use marshmallows instead? 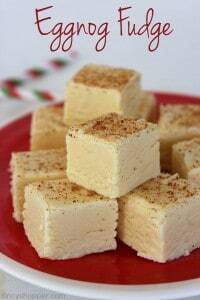 I don’t normally get excited for eggnog, but this fudge sounds so amazing! A perfect holiday treat – definitely great for gifts or bake sales. Can’t wait to try it!